When it comes to the latest trends in web designing, single page websites seem to be a current favorite of the web designers. Quite literally, single-page websites denote websites with just one page. It’s the age of streamlined information today and this new trend enables one to impart the data in a compact manner so that it’s easier to grasp. 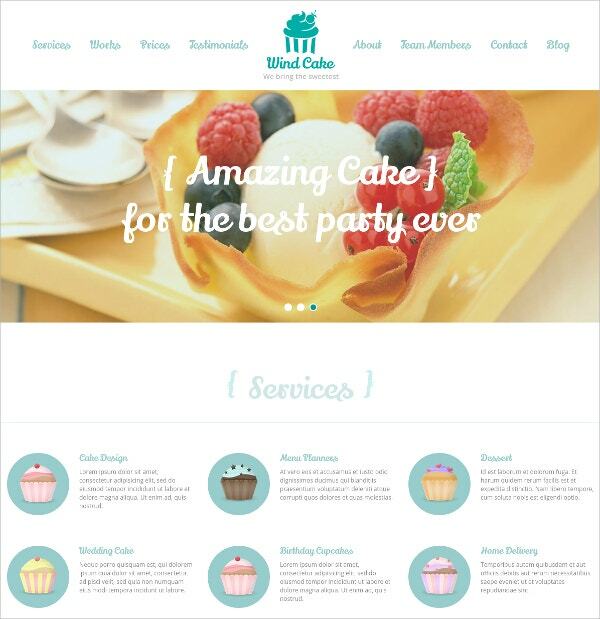 You May also See Wedding Website Templates. Usually, a one-page website does not have the typical “about us” or “services” page as is common with conventional websites- rather you will have the most important data from every page arranged strategically on one single layout. 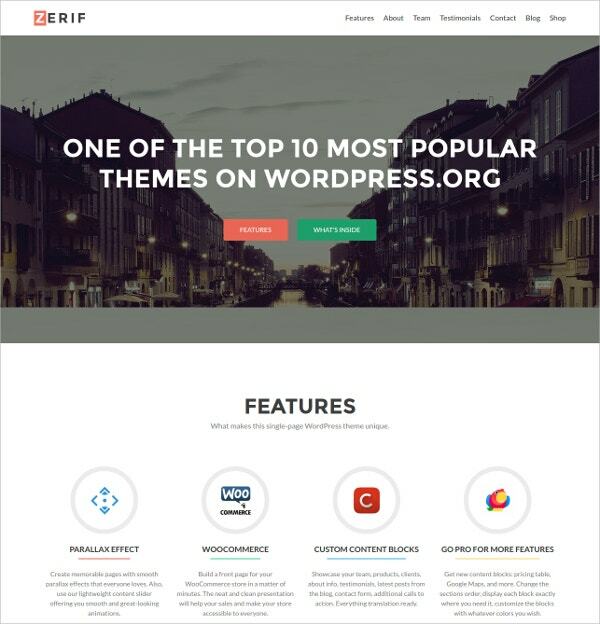 You May also See Best WordPress Templates. The Model Agency Responsive Website Template is best suited for fashion blogs and websites. You May also See Real Estate Website Templates. The theme is highly responsive which makes the website accessible from devices of various kinds. The WindCake- OnePage WordPress Theme is ideal for websites devoted to confectionary, cooking etc. You May also See Travel WordPress Templates. The theme has crossbrowser compatibility which makes it accessible from various browsers. 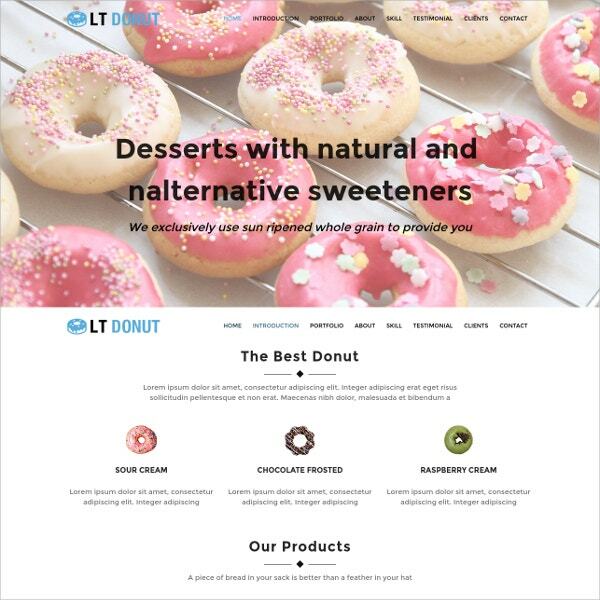 The LT Donut Onepage WordPress Theme is an ideal choice for websites related with bakery. The theme is accessible from Opera, Safari, Chrome and Firefox. The Creaone- Responsive Single Page Portfolio Theme is ideal for portfolio, websites and blogs. The theme is coded with jQuery animation and has crossbrowser functions. 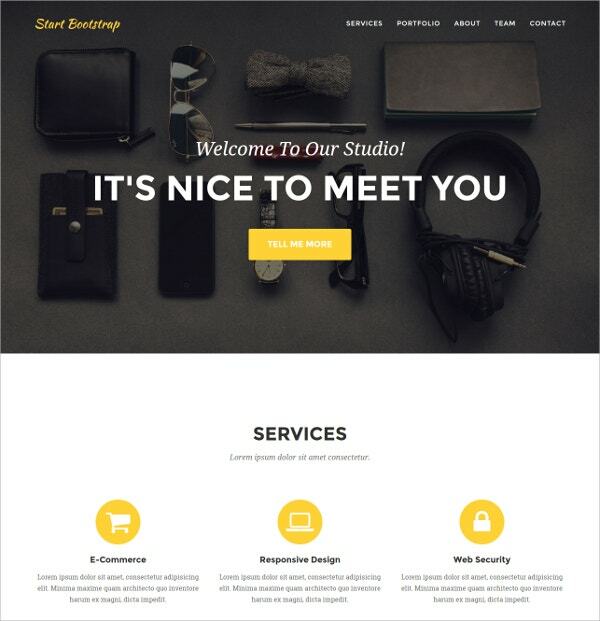 The One Page Theme is a designed and well documented template for websites related to shopping, education etc. The theme is highly responsive which makes it accessible from devices like tablets, smart phones etc. 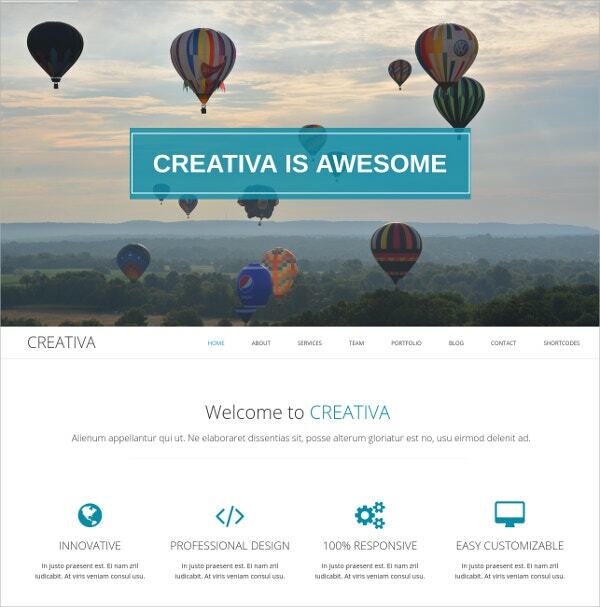 The Creative theme is a designed theme for blogs, websites and portfolios. 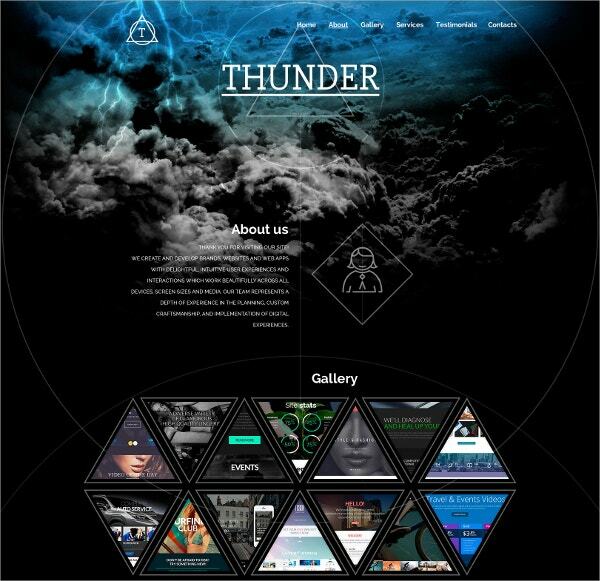 The theme is coded with jQuery and CSS3 which produces high quality animation. The Night Club Responsive Landing Page Template is an ideal choice for clubs, pub and party websites. The theme is built with Parallax scrolling which makes the websites develop an illusionary background. 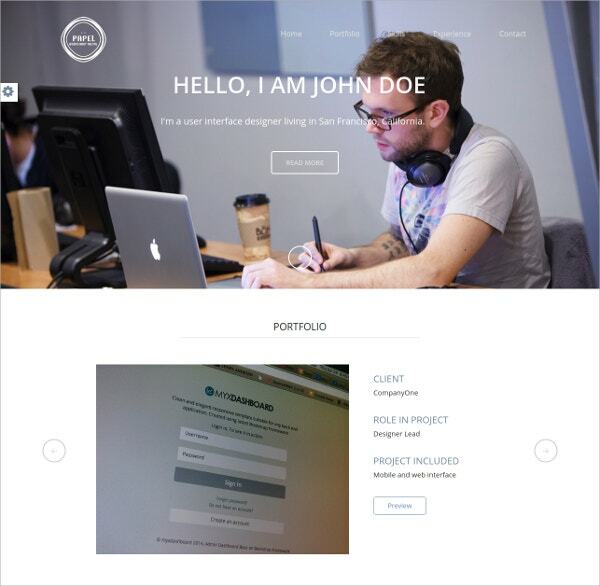 The Restart- Responsive single Page Theme is a great option for designing portfolios. The theme has crossbrowser compatibility which makes the website accessible from various browsing platforms. 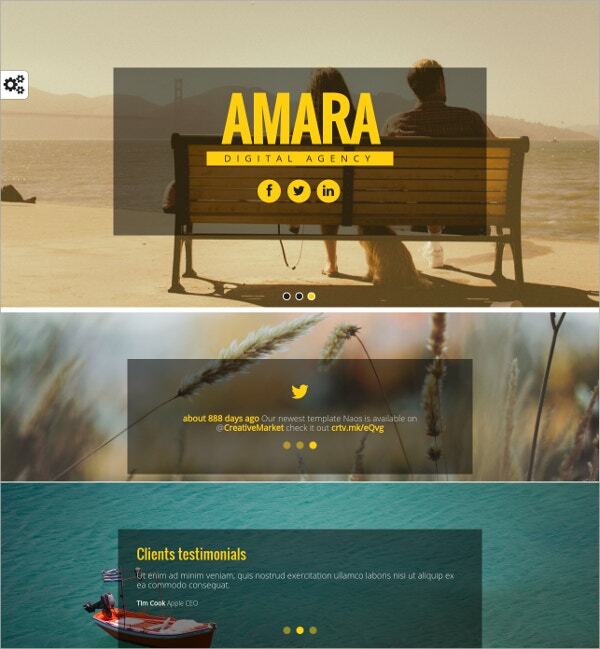 Amara- Animated One Page Template is an ideal option to keep all your animated ideas within one page. 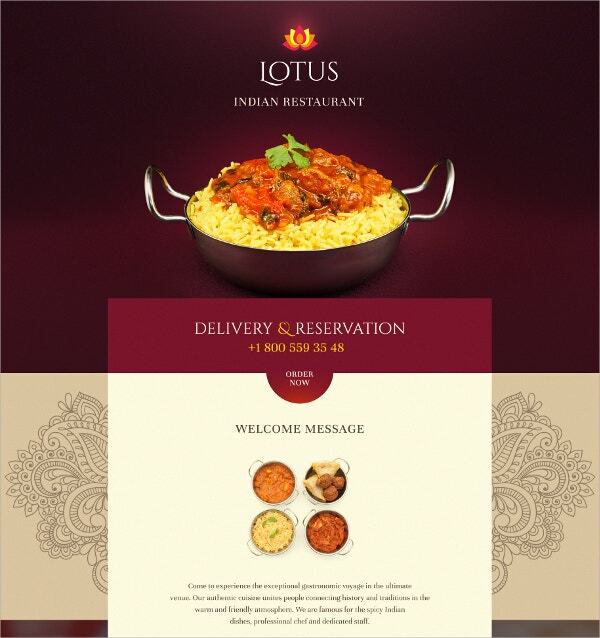 The theme is highly responsive which makes it accessible form devices of various size and type. 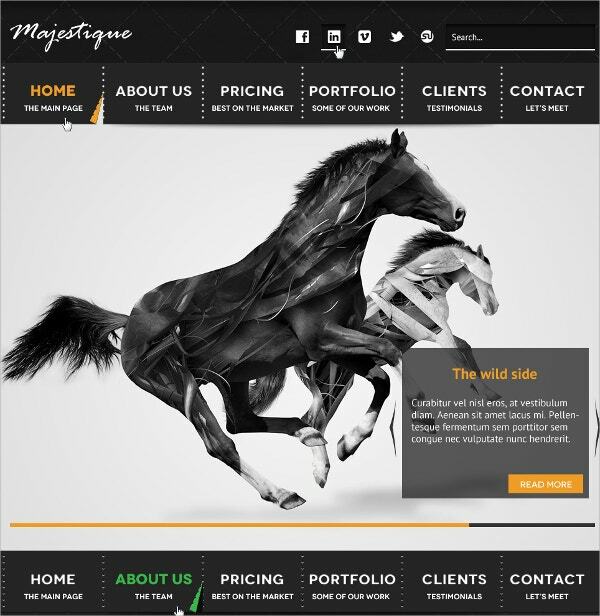 Majestique- One-page Website is a clean and stylish theme for blogs, websites and portfolios. The theme has MegaMenu function which helps the website user with page navigation. 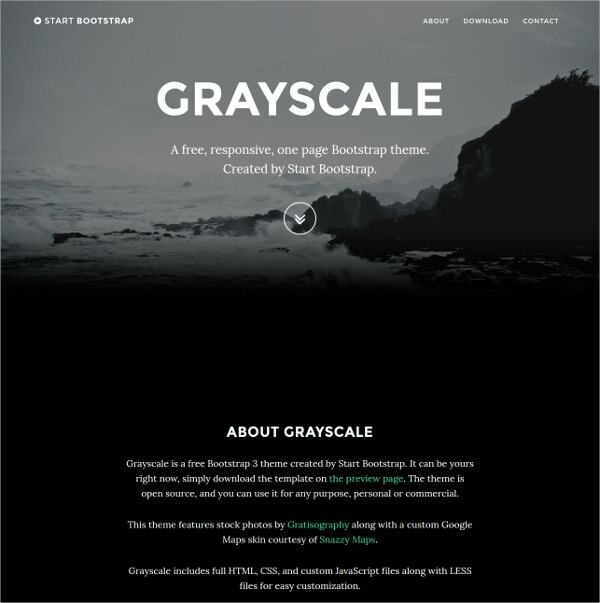 The Grayscale theme is a feature enable theme for smooth navigation of pages and websites. 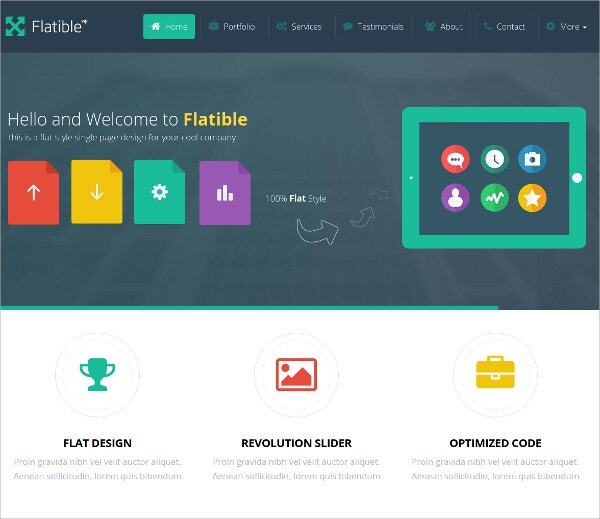 The theme is packed with features like sortable gallery, slideshows, custom designs etc. 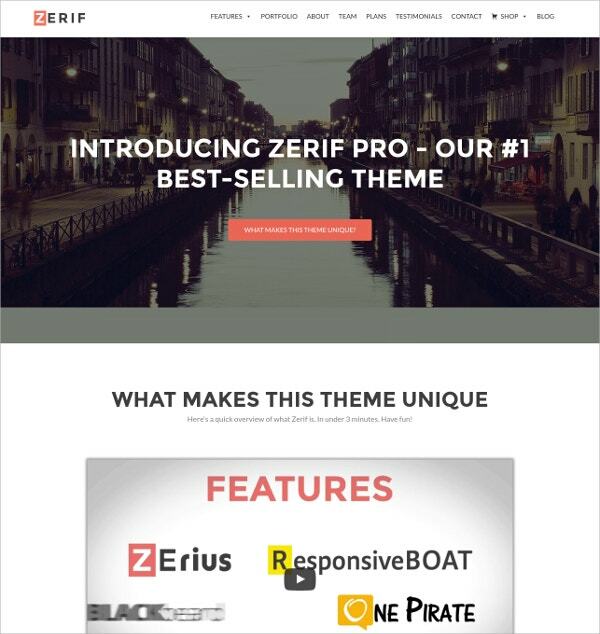 ZERIF PRO Business WordPress Theme is ideal for industrial websites and blogs. Contact form and custom templates. The theme has other features like Favicon, Tag Cloud and Tooltips. 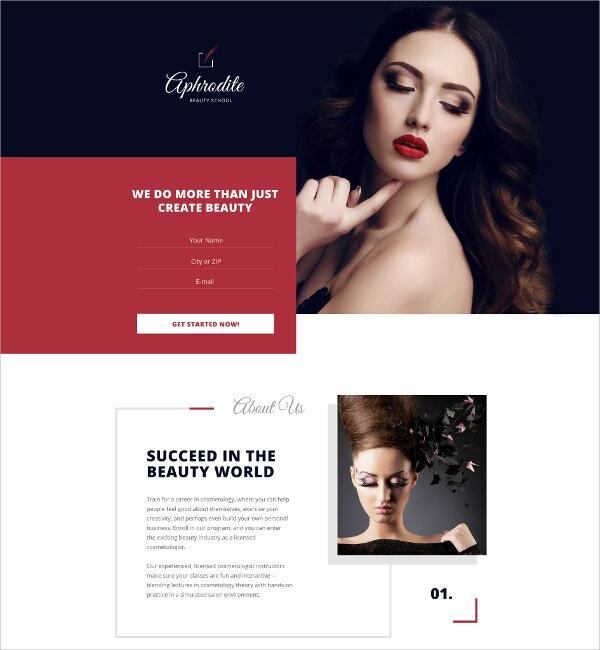 The Beauty School Landing Page Template is highly advantageous to the beauty blogs and portfolios. The theme is endowed with such features like WPML extension, widgets and tabs. 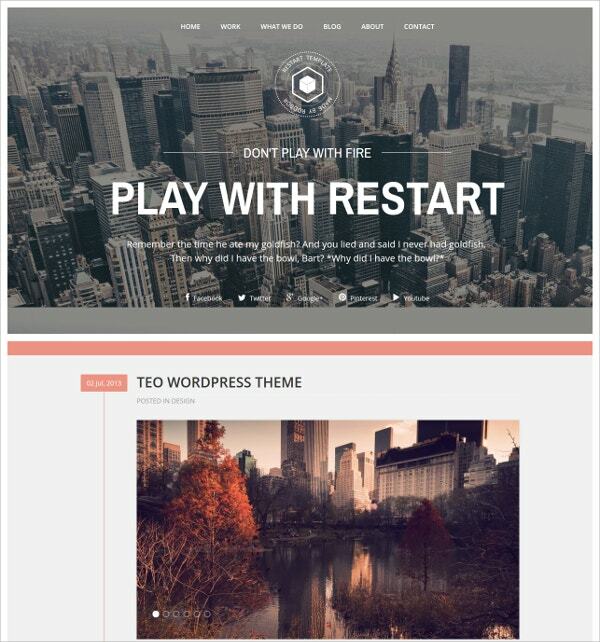 The Teo- Responsive Parallax Single Page Theme is ideal for several kinds of blogs and portfolios. The theme has social options and live chat facility for the benefit of the users. The Bonito- Responsive One/Multi-Page is a well documented theme for portfolios and blogs. The theme can be easily customised using Adobe Photoshop CS+ software. 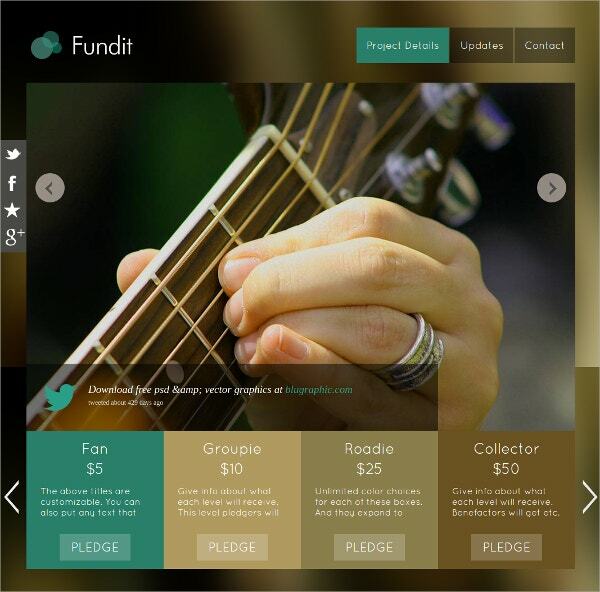 The Fundit- Responsive Single Page WordPress Crowdfunding Theme is an ideal choice for one page websites and blogs. 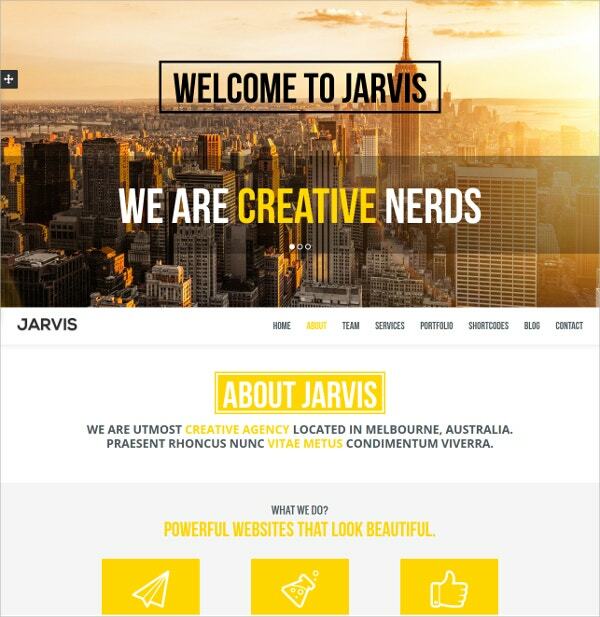 The theme has features like cross browser compatibility, Ajax contact form and designed layouts. 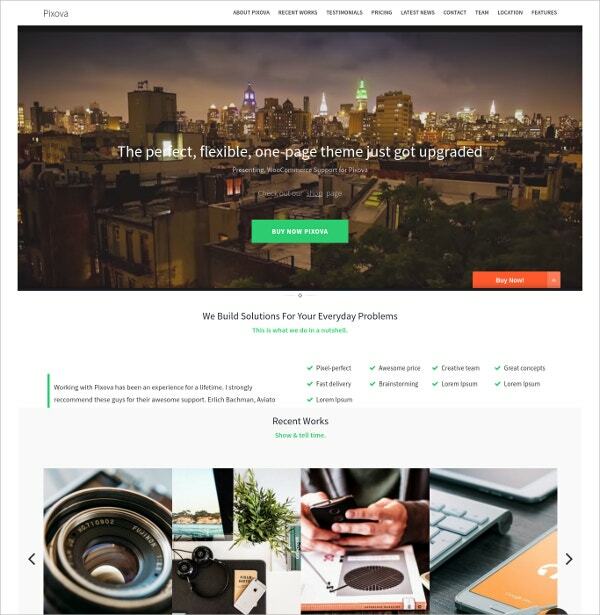 Free One Page WordPress Theme is best suited for the automobile websites and portfolios. 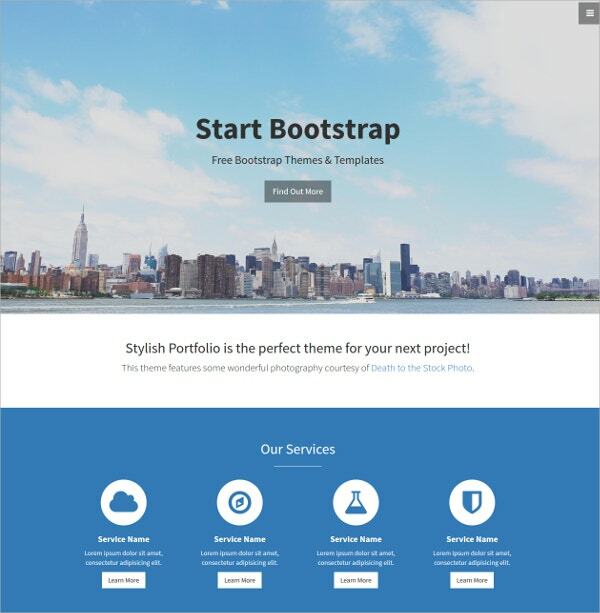 The theme has designed and customisable header, footer and slider options. 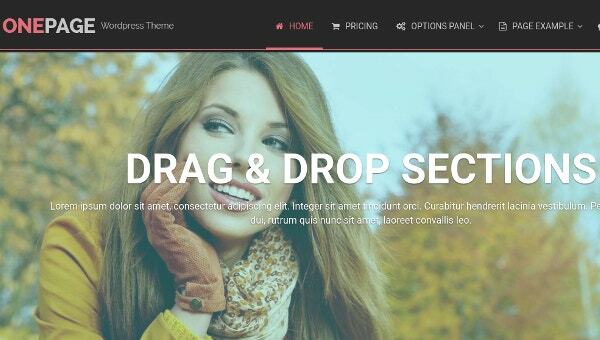 The One Page Theme with Powerful Features is a responsive theme for websites and blogs. The theme has customisable one page section which can integrate videos, audios, images etc. 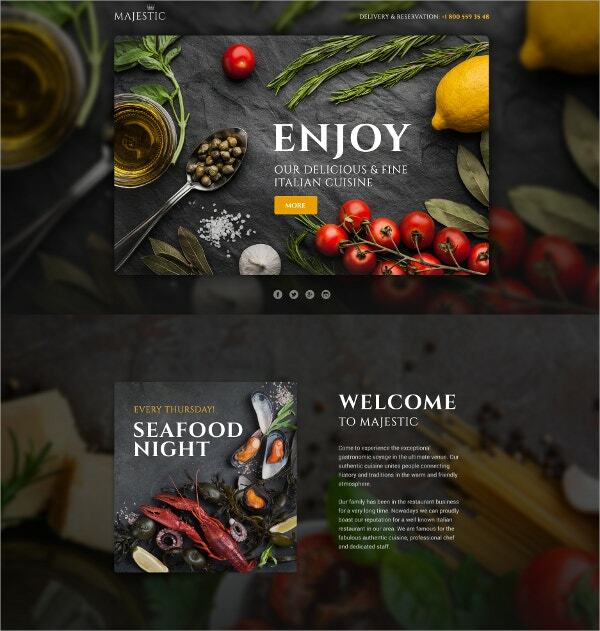 The Italian Restaurant Responsive Landing Page Template is best suited for the restaurant blogs and websites. Translation enabled and MegaMenu The theme has several sections allotted for Blog, Portfolio, Video, Services and so on. 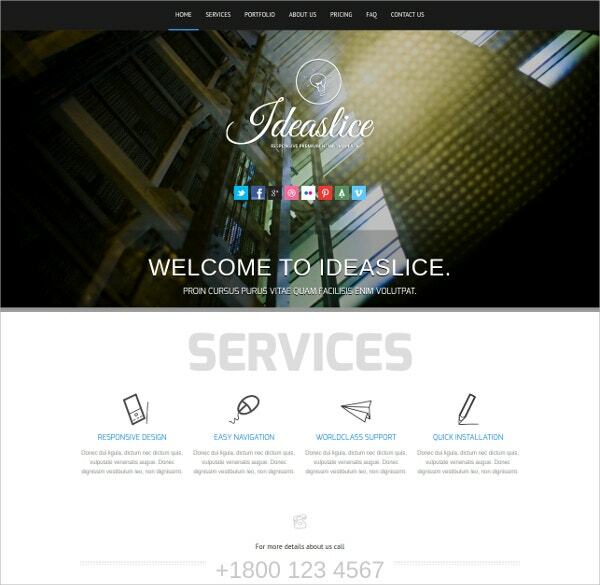 The Flatible- Single Page WordPress Theme is an ideal choice for industrial, beauty and fashion websites. The theme can be re-designed to one’s preferences using Adobe Photoshop CS+ software. 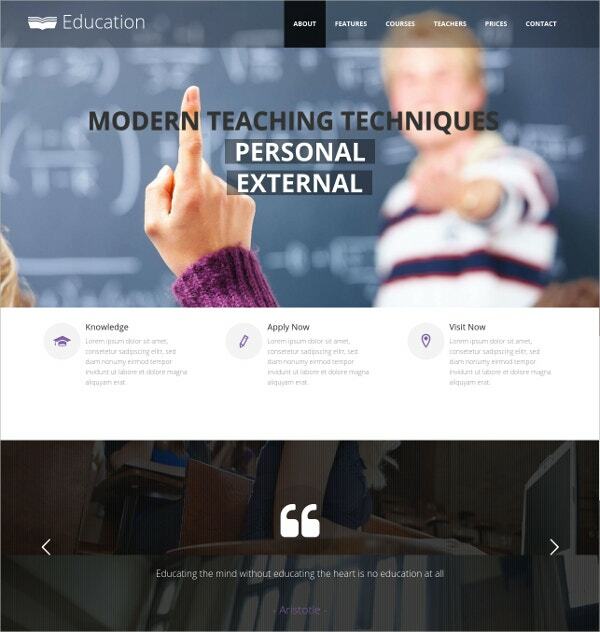 The Education Single Page Theme is an ideal option for colleges, schools and online tutors. The theme has functions like cross browser, back to top button and cloud zoom. 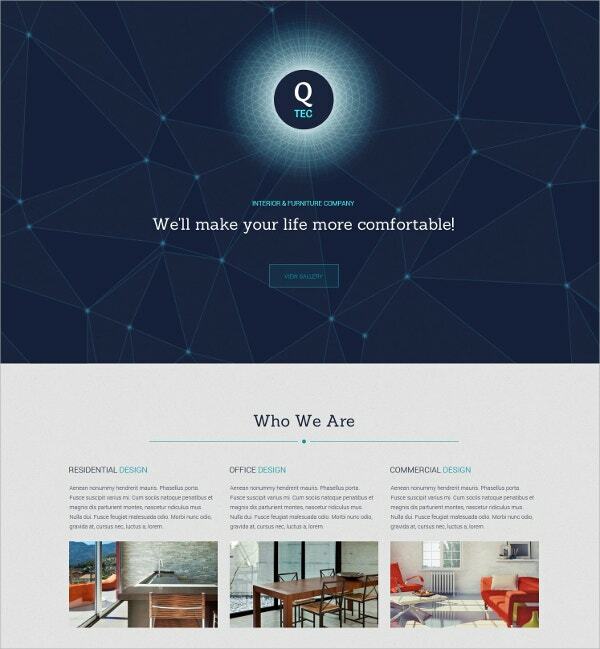 The Interior Furniture Website Template is an ideal choice for interior decorators and furniture websites. The theme is well documented which facilitates and aggravates the installation procedure. 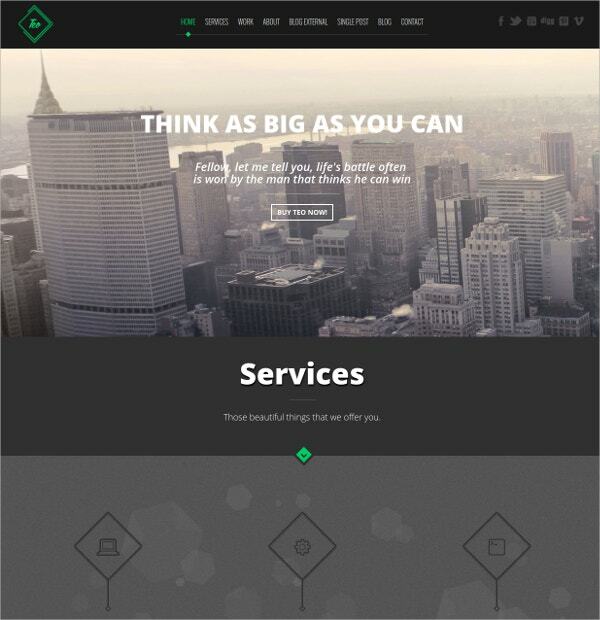 The Bureau- Single Page Parallax HTML Theme is ideal and best suited for corporate firms and industries. The theme has cross browser function and a 3D illusion in the background. 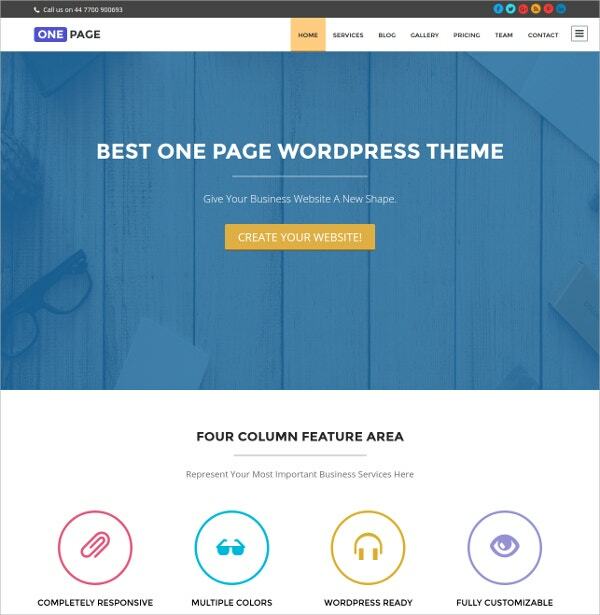 The OneEngine theme is a well built responsive theme catering to all purposes like blogs, portfolios and websites. The theme has crossbrowser function and is coded with HTML short codes which makes the installation process faster. 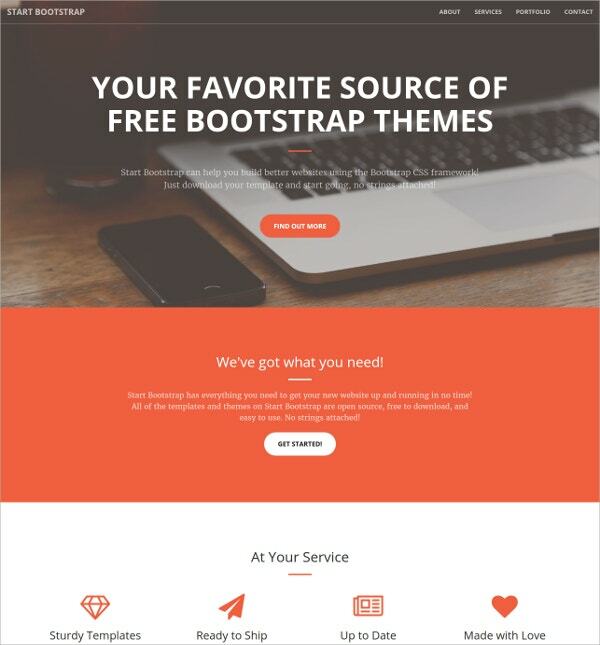 Try this wonderful theme for your business and experience the real time increase in traffic. 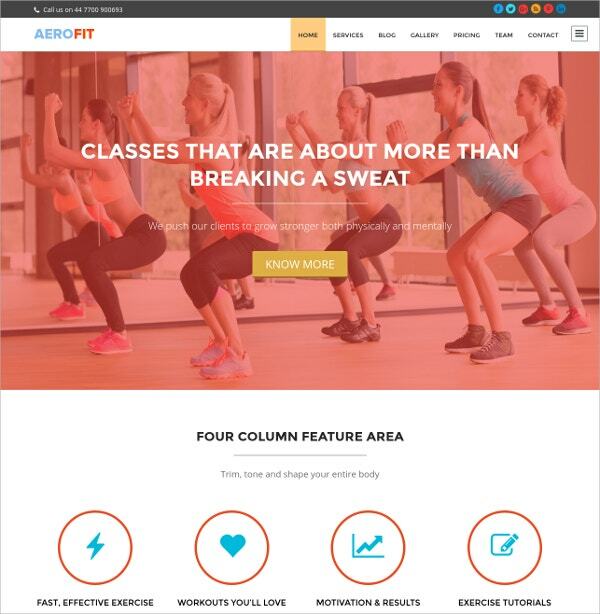 The one-page websites would be great for small business websites with limited content. Then, if you are about to open a website for a special event such as your wedding, there is no need to waste time and energy in traditional multi-page sites when you can get the whole thing done in a breeze on a single-page site. 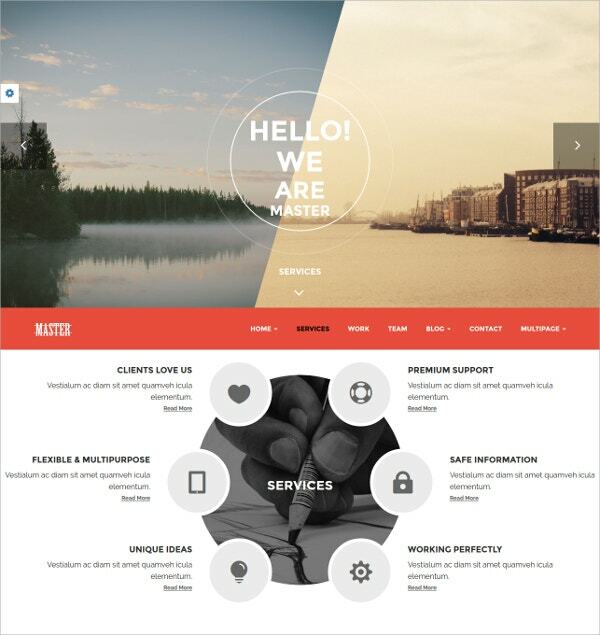 These days it’s easier to create one page websites fast with free download single page website templates. You May also See eCommerce Website Templates. The primary benefit of one page websites is that since you have everything here in one page, your visitors would have a quicker grasp of your content. It’s a busy world today where it would be a great relief for the visitors if they can get rid of the hassle of browsing through several pages. The one page website templates assure decluttered layout by taking your visitor directly to the most important data as soon as they land on the page. 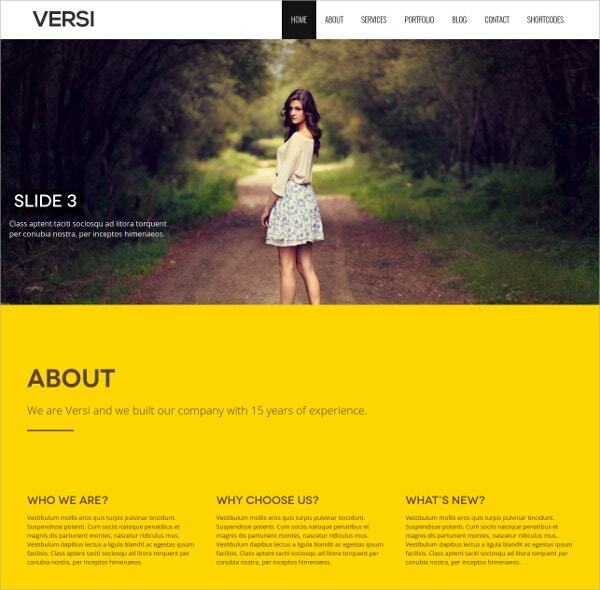 You May also See Business Website Templates. Then, another great benefit of single-page websites is that they allow you to use interactive elements making the entire process more interesting for your visitors. It provides an experiences beyond just fact listing, amusing visitors with boxes which flip & fold, buttons which animate in different creative ways and so on. Here you will have web designs which feel good as well, along with being looking good. People would love to hit your site for these amusing actions. 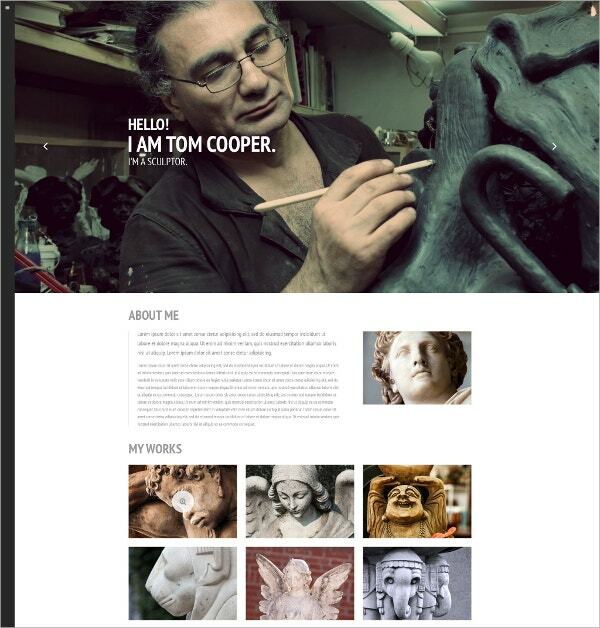 You May also See Free Photography Website Templates. 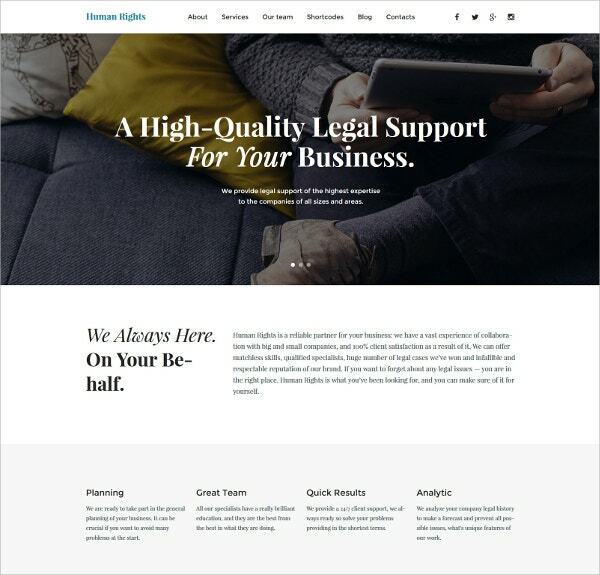 The ultra-simplified layout of single page HTML website templates, accompanied by compact data & visceral interactions – is much preferred by online users today and no wonder, one page websites can guarantee a superior conversion rate now. Finally, pageless designs are responsive and are great for all browsing devices, regardless of size. You May also See Church Website Templates. 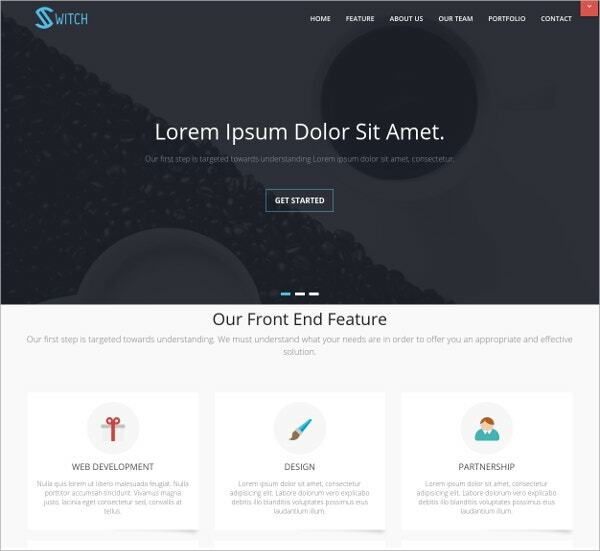 The single page website responsive templates would make the work easier for you by offering you a pre-constructed website layout so that you are relieved from creating the whole thing right from the start. Moreover, these templates can be customized easily and can cater to a large variety of industries. You May also See Wedding WordPress Templates. 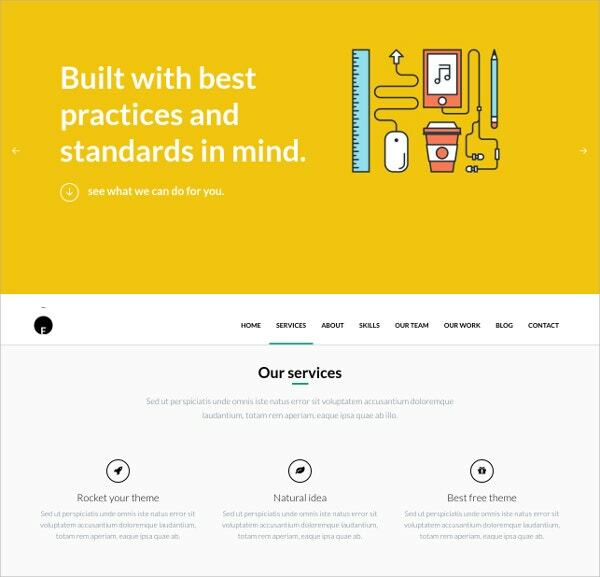 If you are looking for the best single page website templates, over the internet, template.net has the right answer for you with its huge and versatile gallery of expert designed page less webpage templates. 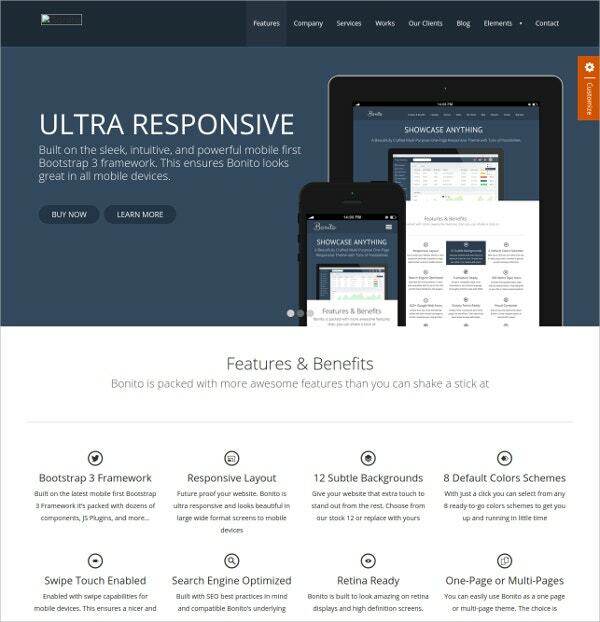 You May also See Responsive Website Templates.